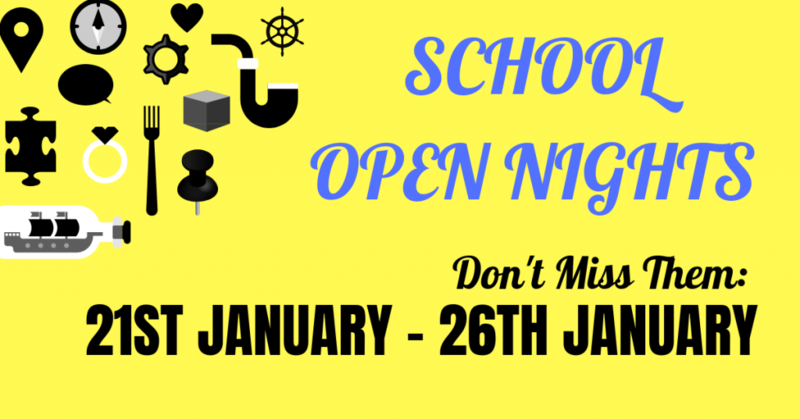 School Open Days / Nights are a great way for your child to experience their potential, future ‘big school’ and get a feel for its culture, ethos, subjects and activities, in order to decide if it really is the school for them. 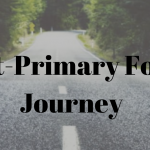 But it’s not just for the P7s, as all schools openly invite P6s to get their first peek as to where they may go to in a couple of years and it’s important to start this research early as it will give them something to aspire towards and if needed work hard to obtain the scores to gain a place. So if you had any concerns about turning up and your child is only P6, don’t worry and be assured that these days are very much for you too. *Whilst every effort has been made to ensure that all these details are 100% accurate, if you spot anything incorrect, please let me know by email and I’ll happily update. Bangor Academy & Sixth Form College – Monday 21st & Tuesday 22nd January 2019, 19.00 – 21.00pm. Principal’s Address is at 19.00 & 20.00 each evening. Cullybackey Integrated College – Monday 21st and Tuesday 22nd January 2019, both starting at 19:30. Dean Maguirc College – Monday 21st January 2019 at 19:00. Principal’s Address at 19:30. Glastry College, Ballyhalbert – Monday 21st January 2019 from 19.00 to 21.30. Lumen Christi College – Monday 21st January 2019, Time TBC and Principal’s Address at 16:00 and 16:45. Ashfield Girls’ High School – Tuesday 22nd January 2019, 18.30 – 21.00. Principal’s Address: 18.45 & 19.30. Blessed Trinity College – Amalgamation of Little Flower Girls’ School and St Patrick’s. Tuesday 22nd & Wednesday 23rd January 2019 from 19:00. Crumlin Integrated College, Crumlin – Tuesday 22nd January 2019 at 19.30 and Principal’s Address at 19:30 in the College Hall. 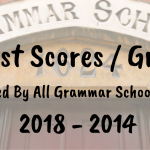 Larne Grammar – Tuesday 22nd & Wednesday 23rd January 2019 from 18.30 -21.00. Omagh High School – Tuesday 22nd January 2019, 18.00 and Principal’s Address at 18.00. St Aidan’s High School, Derrylin – Tuesday 22nd January 2019 with the Principal’s Address starting at 19:30. St Mary’s Grammar, Magherafelt – Tuesday 22nd & Wednesday 23rd January 2019 at 19:00. Loreto Grammar School, Omagh – Wednesday 23rd January 2019, 17.00 – 20.00. Slemish Integrated College – Wednesday 23rd January and Thursday 24th January 2019 starting at 19.00 on both evenings. St Louis’ Grammar, Ballymena – Wednesday 23rd January 2019, 7.15pm (for those attending from Mary Queen Of Peace, Mount St Michael’s, St Brigid’s Ballymena, St Colmcille’s and St Comgall’s Antrim) and Thursday 24th January 2018, 7.15pm (from all other primary schools). St Mary’s High School, Brollagh, Belleek – Wednesday 23rd January 2019, from 19:00. Strangford Integrated College, Carrowdore – Wednesday 23rd and Thursday 24th January 2019 from 19.00 – 21.30. Principal’s Address will be at 19.00 & 20.00 on both evenings. The Royal School, Armagh – Wednesday 23rd January 2019, 19:00 – 21:30. The Royal School, Dungannon – Open morning visits for P7 parents and pupils will be held during the week of 23rd – 25th January 2019. In addition, an open evening for P6 parents and pupils will be held on Tuesday 13th February 2019 at 19.15. Ashfield Boys’ High School – Thursday 24th January 2019, 19.00 – 21.00. Principal’s Address: 19.00. All Saints College – Thursday 24th January 2019, at 19.00 at CBS Site. (see picture below). Carrickfergus Grammar School – Thursday 24th January 2019, 18:30 – 21:00 with Principal’s Address at 19:15. 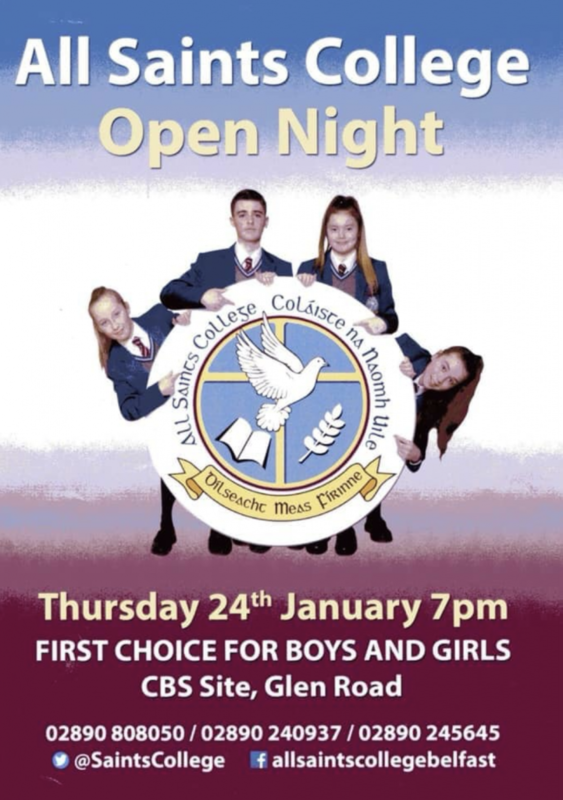 Corpus Christi College, Belfast – Open night is scheduled for the 24th January at the CBS campus with Time TBC. 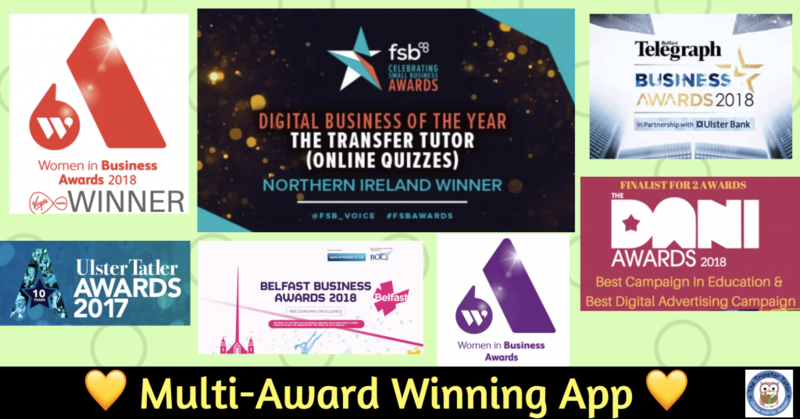 Fort Hill Integrated College, Lisburn – Thursday 24th January 2019, 19.00 – 21.00. Principal’s Address at 19.00 & 20.00. Glenlola Collegiate, Bangor – Thursday 24th January 2019, 18:45 – 21:00. Principal’s Address: 18.45 & 19.45 in the Main Hall. Holy Trinity College, Cookstown – Thursday 24th January 2019 at 19.00. Lurgan College – Thursday 24th January 2019, 19.00 – 21.30. Malone Integrated College – Thursday 24th January 2019, 19.00pm – 21.00. Movilla High School, Newtownards – Thursday 24th January 2019 at 19.00. Principal’s Address at 19:00 sharp. Nendrum College, Comber – Thursday 24th January 2019 with Principal’s Address at 19:00. St Brigid’s College, Derry – Thursday 24th January 2019, 17:00 – 21:00. Principal’s Address at 17:00 & 19:00. St Colm’s High School, Draperstown – Thursday, 24th January 2019 from 19.00. 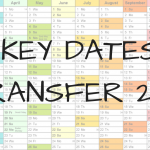 St Colmcille’s High School, Crossgar – Thursday 24th January 2019. Time TBC. St Joseph’s High School, Crossmaglen – Thursday 24th January 2019 at 19.30. St Michael’s College, Enniskillen – Thursday 24th January 2019 and Principal’s Welcome at 7.00 pm sharp. St Patrick’s College, Dungannon – Thursday 24th January 2019 at 16.30. Strabane Academy – Thursday 24th January 2019, Junior Campus from 19:00. St Patrick’s Academy, Dungannon – Open Day on Friday 25th January 2019. Time TBC. The Transfer Tutor App is an online site dedicated to providing fun and interactive quizzes aligned directly to the AQE / GL specifications. 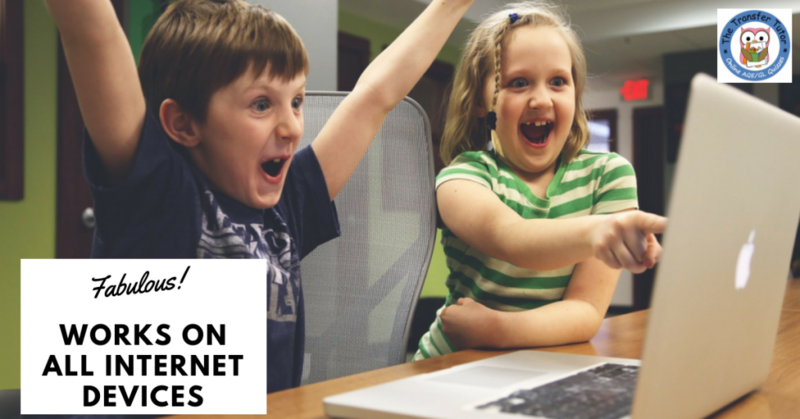 All quizzes are broken down into manageable topics and can be done on any mobile or tablet device, so it’s an great way for kids to learn and prepare for the test. If your child is in P6 and you want the licence that will last you until December 2019, simply click on the picture below to buy the Penguin Licence at only £45 for the whole year (about £4 per month). 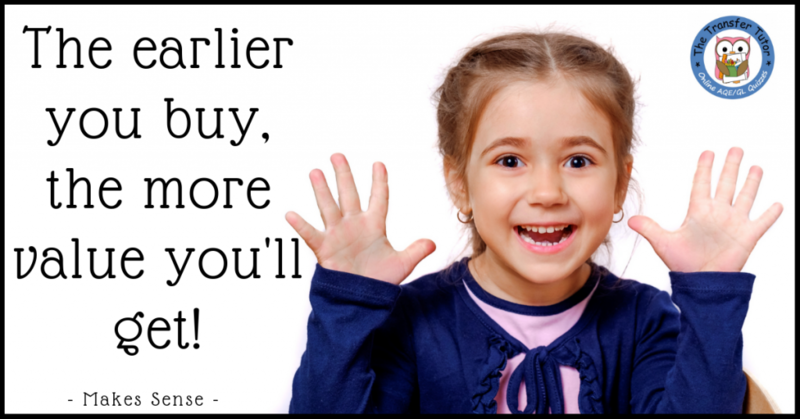 However, if there are younger siblings, you can choose a longer licence, for only another £15 per additional years! 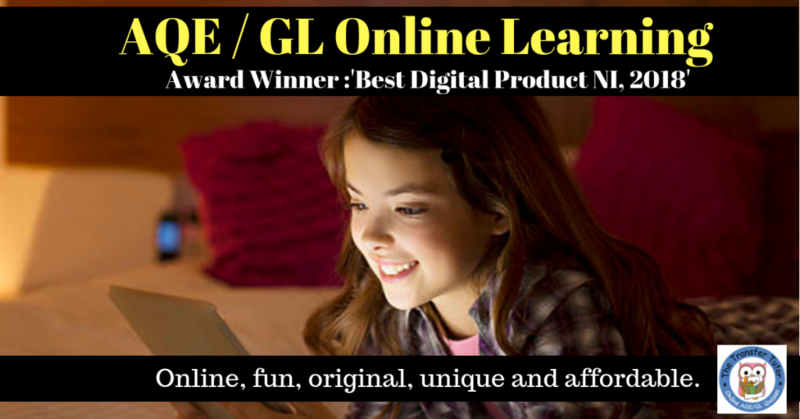 So, if this is something you would like to explore, click here to get more details and to look at the other membership options. To give you a feel for the quizzes, you can start a free one by clicking on the button below. 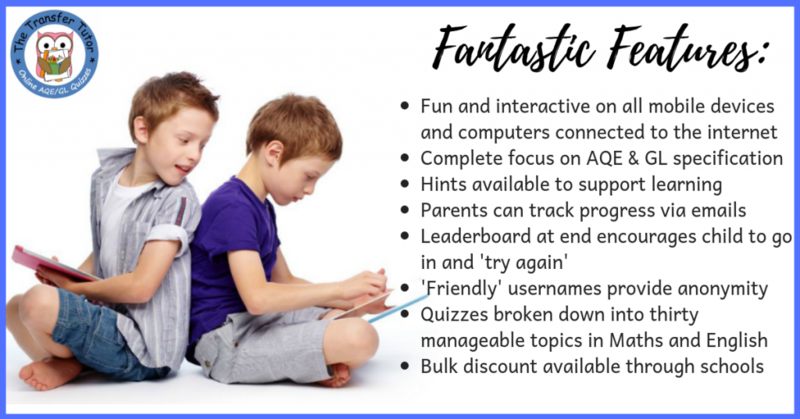 The quizzes have been a great success with parents and kids and received many, raving 5* Facebook Reviews in the last year, so definitely worth a look and read how so many people have loved using the app. 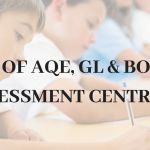 How would you do on the AQE / GL Test?